Built thousands of years ago, these temples defy everything we know about the capabilities of ancient cultures. From laser-like precision to the transportation and placement of huge granite block—some of them weigh over 80 tons—these temples prove that ancient civilizations were far more advanced than we are crediting them for. There are countless ancient temples scattered across the globe. Most of them remain an enigma or historians and archaeologists who are left awestruck by the beauty and complexity of these ancient structures. Most of these temples were built without the use of modern tools, yet show a precision that today is attributed to lasers, power tools, and heavy machinery. How did ancient man transport blocks of stone weighing over 50 tons? How did they achieve laser-like precision on walls, limestone and andesite blocks? How was it possible for ancient man to carve entire temples and caves out of a mountain when they did not possess the technology we do today? In this article, we take a look at four stunning ancient temples that will make your Jaw drop! 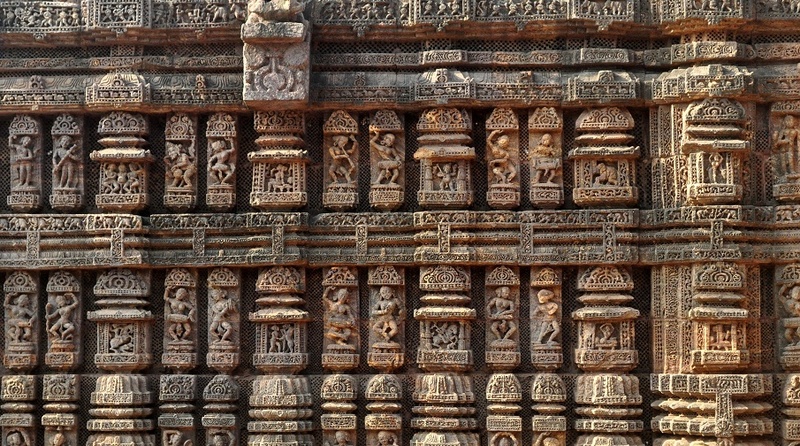 Located at Konark in Orissa, India, the Konark Sun temple is believed to have been constructed by king Narasimhadeva I of Eastern Ganga Dynasty in 1255 CE. Shaped as one MASSIVE chariot, it features some elaborately carved characteristics like carved stone wheels, pillars, and walls. A major part of the structure is now in ruins. Dedicated to the Sun God Surya, the name of the temple ‘Karnak’ derives from the combination of the Sanskrit words, Kona (corner or angle) and Ark (the sun). The temple features 24 intricately carved wheels which are adorned by 7 horses which are depicted as if they were pulling the temple. “The wheels of the Karnak temple are more than wheels. They are actually sundials and time can be calculated precisely by the shadows cast by the spokes”. Originally, the temple was erected at the mouth of the Chandrabhaga River, but since then the water line has receded. Major parts of the structure collapsed during the 17th century C.E., and it is believed that the collapsed structure contained a 52-ton magnet at the top. Experts believe that the magnet—which collapsed—cauised the mains statue of the temple to levitate in mid-air. Located in Thiruvananthapuram, Kerala, India, this ancient temple features a mixture of the indigenous Kerala style and the Dravidian style (kovil). According to reports, only 5 of the 8 underground vaults had been opened and explored. Referred to as Vault B, it is the most mysterious chamber in the temple and remains unexplored. A massive iron door guards the entrance to the chamber. Depicted on the door are two gigantic cobras which stand as a warning to those trying to enter it. Legends say that the massive iron door can only be opened by those who know a mystic chant. It is believed that if the door is opened in any other way, it would bring great misfortune upon the world. The temple is one of the 108 principal Divya Desams (“Holy Abodes”) in Vaishnavism, and is glorified in the Divya Prabandha. 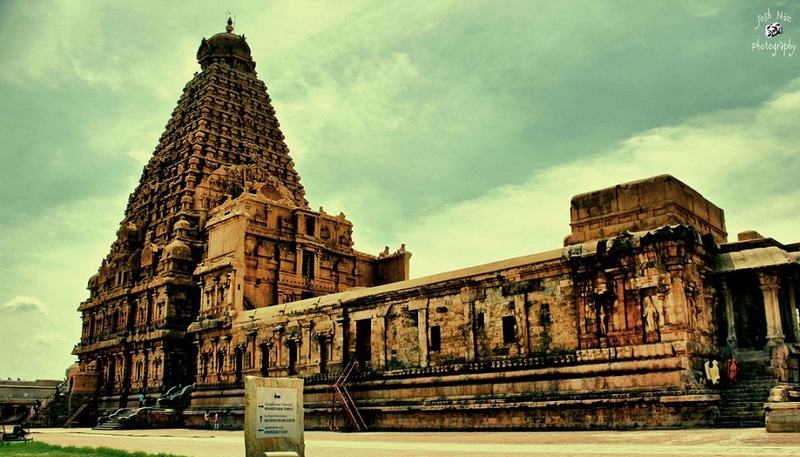 Located in Thanjavur in the Indian state of Tamil Nadu, the Brihadeeswarar Temple is dedicated to Lord Shiva. 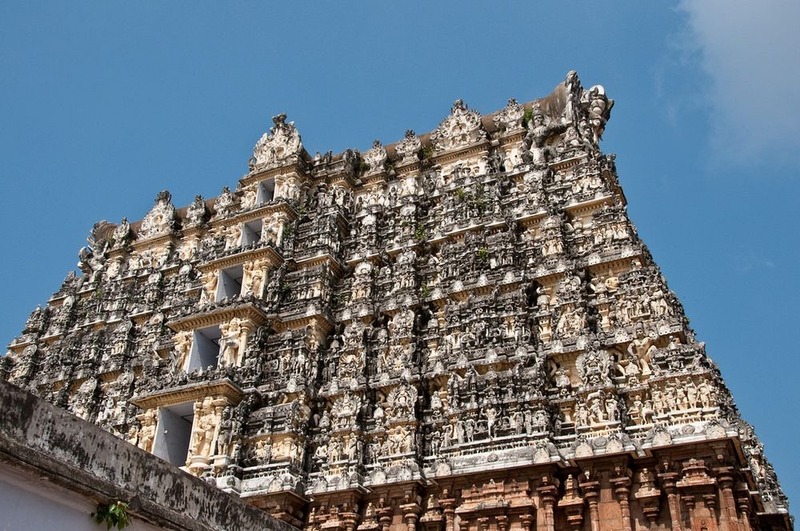 It is one of the largest temples in India and is an example of Dravidian architecture during the Chola period. According to reports, the temple was built by Raja Raja Chola I and was completed in 1010 CE, the temple turned 1000 years old. It features a massive 40-meter-high Vimana—one of the largest in the world. Interestingly, the entire temple complex was built out of granite, and the nearest source is located some 60 kilometers from the temple. It is believed that around 130,000 tons of granite were used in its construction. One of the largest pieces is the Kumbam, a round structure on the top of the temple made out of granite and has a weight of around 80 tons. Now think for a minute, how did the ancients manage to transport these massive blocks, and place the 80-ton statue on top of the temple over 1,000 years ago? 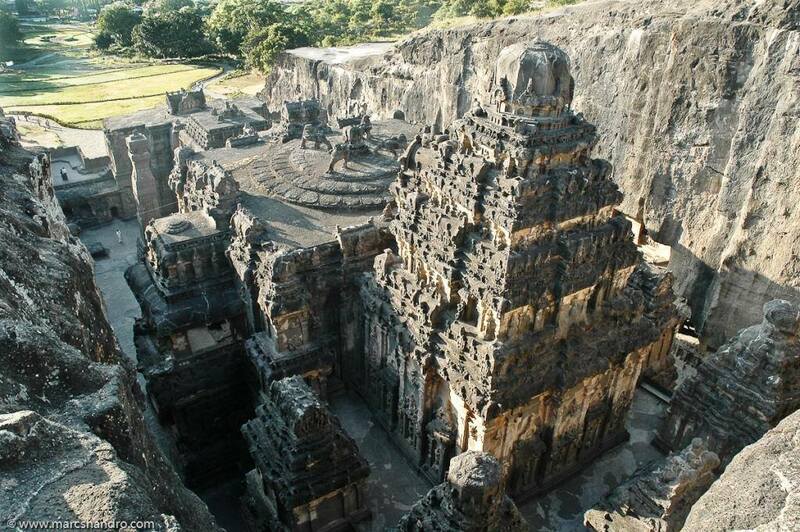 Also located in India, the Kailasanatha temple or Kailasa, is located in Ellora, Maharashtra, India. It is one of the LARGEST rock-cut temples in the world. This megalith was carved out of one single rock and is considered by many scholars as one of the most remarkable cave temples in India. The Kailasanatha temple (Cave 16) is one of the 34 cave temples and monasteries known collectively as the Ellora Caves. Its construction is generally attributed to the 8th-century Rashtrakuta king Krishna I in 756-773 CE. The Kailasa temple is the 16th from a total of 34 caves which were literally excavated out of the surrounding rock. Mainstream scholars indicate that the ancient caves were built sometime around the fifth and tenth centuries AD, but many others disagree suggesting the caves are much older. Many researchers believe that the builders of the Kailasa temple used a vertical excavation method in order to achieve what they did. They started at the top of the original boulders and worked their way downward carving out one of the most fascinating ancient temple complexes on the planet. But how did they do it? What did the ancient builders of the Ellora caves use to excavate and build? Mainstream scholars indicate that the caves were built with the use of hammers, chisels, and picks, thousands of years ago.